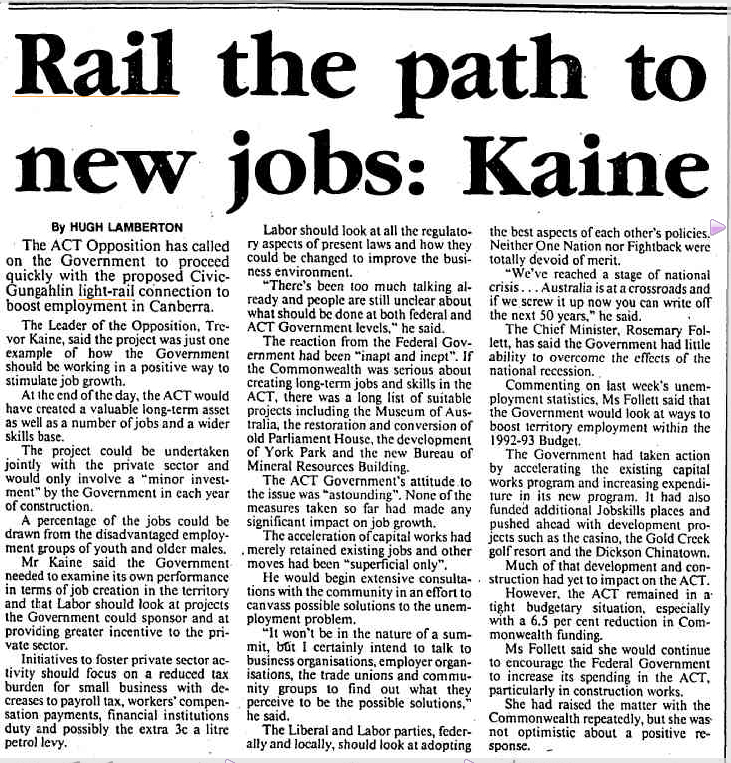 In 1991 the then Liberal Chief Minister of the ACT Trevor Kaine was in favour of light rail. Politics in the new self governing territory was volatile and ideas abounded. The Follett ALP government had dissolved in acrimony in 1989, just as the Kaine Liberal government did in 1992 (where Rosemary Follett returned as Chief Minister). 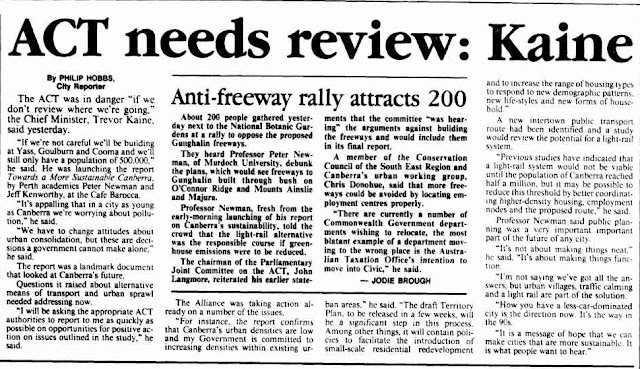 Even in opposition, Trevor Kaine was still in favour of light rail, as the articles below dated from 1991 and 1992 show. As this political instability was raging, the new town of Gungahlin was being planned and municipal services still needed to be delivered across all of Canberra. Public transport, and the future nature of it that would best suit Canberra was a preoccupation then, as it is now. The project was just one example of how the Government should be working in a positive way to stimulate job growth. At the end of the day, the ACT would have a valuable long term asset as well as a number of jobs and a wider skills base. 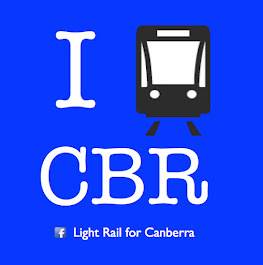 After Trevor Kaine was rolled as Opposition leader by Kate Carnell, light rail was attacked mercilessly by the Carnell opposition - because it was being championed by the Follett ALP Government. 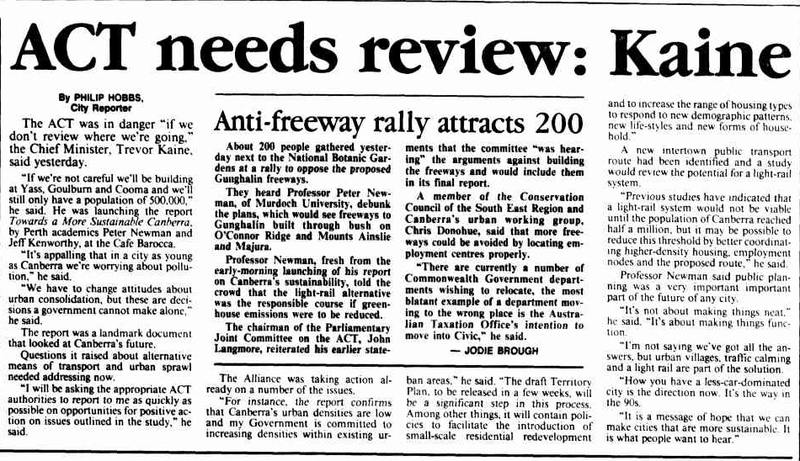 After forming government in 1995 the Carnell led Liberal government abandoned light rail and focussed on roads. Although Trevor Kaine passed away several years ago, his daughter Denise Fisher is contesting the 2016 Assembly elections for the Canberra Liberals in the seat of Ginninderra. Her views on light rail are unknown.